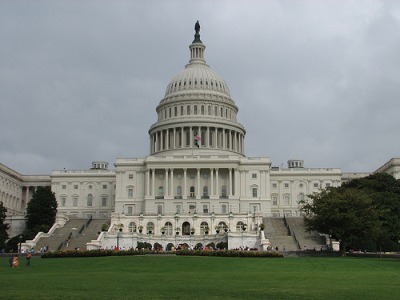 The House Interior and Environment Appropriations Subcommittee marked up its funding bill for Fiscal Year 2012 on Thursday. Under Chairman Mike Simpson (R-Idaho), the subcommittee voted to cut the Environmental Protection Agency’s budget by 18 percent. The bill also includes a number of riders that prohibit EPA from implementing various regulations. Most notably, the bill would prohibit EPA from regulating greenhouse gas emissions from stationary sources (such as power plants) during the next fiscal year. A number of other amendments to limit EPA’s regulatory over-reach may be offered at full committee mark-up or when the bill is debated on the House floor. It’s so good to know that there are still some adults left in power somewhere on earth. Unfortunately all the adults in the Australian government are in the opposition. The Green kiddies are running, I mean ruining the show. We now have an ineffective Prime Minister who also tells lies introducing an even more ineffective CO2 tax because she believes a bunch of bought and paid for scientists. Its chances of becoming law remain unclear.The bill far from reflecting Gallic eccentricity fits into a much larger pattern of Western responses to this horrid garment.